After declaring its lack of interest in joining Google‘s new Android Pay system for contactless, phone-based payments, UK bank Barclays announced that it would make up for this by creating a similar service of its own, building on the NFC support for its own Barclaycards already started earlier this year. Few things have made the case for an interesting use of the NFC chips inside our phones like contactless payments. Revived by Apple with the introduction of Apple Pay in late 2014, mobile-based transactions have seen an interesting resurgence ever since. 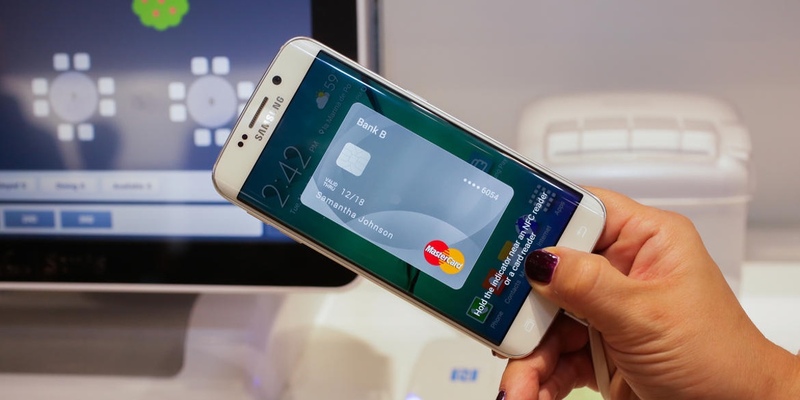 Samsung Pay will be available in China “as soon as early 2016” after the company signed a deal with card-processor UnionPay. The deal was an essential step as UnionPay has a monopoly on payment terminals in China. Apple yesterday announced its own deal with the company for Apple Pay. One of Samsung’s mobile execs has hinted that the company is planning to expand Samsung Pay to cheaper handsets eventually, according to a report by Korea Herald. Shin Jong-Kyun responded “it will gradually expand” when asked specifically if it would move the payment technology to budget handsets at some point. At launch, Samsung Pay will only be available on the newest flagship phones. The company opened up its beta program to US consumers a couple of weeks back, and is expected to officially launch the payment service at the end of this month. Samsung Pay is Sammy’s attempt to compete with the likes of Android Pay and Apple Pay in the mobile contactless payment market. The one thing it has on both those platforms, however, is that you can use it virtually anywhere that has a magnetic card strip readers, rather than being limited to just NFC payments like Google’s and Apple’s systems. Its biggest restriction is handset support. Once it’s officially live, Samsung Pay will only work on the Galaxy Note 5, S6 Edge plus, S6 and S6 Edge. For a company with the product portfolio Samsung has, that’s restrictive to say the least, especially if it wants Samsung Pay to become widely adopted and used frequently.